Prabhas' fans are eagerly waiting for the big release of his action film. After dedicating five years to Baahubali franchise, the Tollywood superstar is back to his original form. He has been a huge fan of action movies, especially from Hollywood. 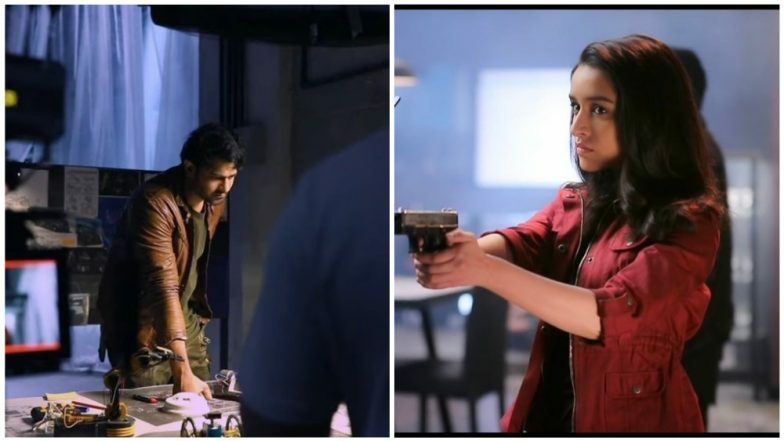 This inspired him to do the high-action scenes in this Shraddha Kapoor starrer. Going by the reports, the actor will be seen enacting some high octane scenes inspired from Hollywood flicks like Terminator and The Judgement Day. Now, stunning the audience with the believable and power-packed action scenes is no cake walk. Hence, the makers roped in noted stunt master from Hollywood Kenny Bates to help Prabhas sharpen his skills. If you're wondering as to what to expect from the Sujeeth directed movie, we got you! As per the latest reports, the handsome hunk has done stunts like crossing rivers and climbing mountains in this movie. Not just that, he also has an interesting bike chase sequence in the store to enthral his fans. Now, that's something which will pull the audience to the theatre like a magnet. The man lost 8 kilos for this particular reason! In case, you have not heard it already, he will also make his grand debut on Instagram soon. His admirers were tired of hunting his 'real' profile on social media and kept pestering him with the question. Finally, they get a legit platform to comment and pour love on the star. Speaking of the rest of the cast, it consists of Shraddha Kapoor, Evelyn Sharma, Neil Nitin Mukesh in crucial roles. Saaho is slated to release on Independence Day 2020.